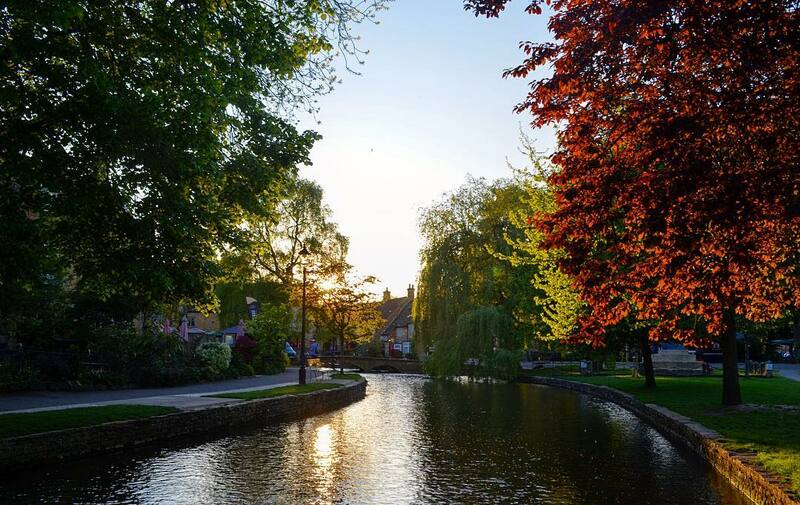 Known around the world as "The Venice of the Cotswolds" because of its charming low-slung bridges, Bourton on the Water attracts thousands of visitors each year who line the River Windrush when the sun shines making it one of the most popular villages in the UK. It's not always everyone's cup of tea which is why we are giving you an insiders guide of how you should spend a day there. I'll be completely honest, I have never been a huge fan of Bourton on the Water. It became a no-go area on a sunny weekend day as tourists would cover the banks of the River Windrush as well as the roads and there were very few things of any interest . I'm not saying that the former has changed much but the latter definitely has. It's also a place that is just as pretty in the autumn and winter as it is in the spring and summer so don't let the cold put you off! You have a few choices when it comes to where to stay. The first being the Chester House Hotel. This charming 22 bedroom privately-run hotel is located in the heart of the village and is home to superb service, relaxed surroundings and Bourton's only Italian restaurant, L'antra, which is a good option for lunch or dinner. Each bedroom is centrally heated and there are ground floor rooms suitable for wheelchair and disabled access. Well behaved dogs are also welcome in their ground floor Coach house rooms which needs to be arranged prior to your visit. The best B&B in Bourton is The Red House East. Built in 1880 and once the village hospital, this rare (in the Cotswolds) red brick building boasts 5 bedrooms, ranging from family rooms, doubles and a twin, and is a short walk to the centre of the village. Good places to eat and drink are few and far between. We have already mentioned L'anatra Italian at the Chester House Hotel which also offers a pizza takeaway option if you'd rather eat by the river or back at your accommodation. Breakfast should see you visit the wonderful family-run Bakery on the Water. The smell of freshly baked bread will lure you in where you can enjoy pastries, croissants or something more substantial as well as a decent Rave Coffee to start your day. Lunch should probably see you head to The Croft. You could head here for breakfast, brunch and in the evening too as it caters for all. It is located right next to the river and has recently had a stunning refurbishment and is a relaxed placed whatever time you choose. Smiths of Bourton is also very much worth a visit. Their Gentleman's Afternoon Tea is a delight and can be enjoyed with a cup of loose tea. 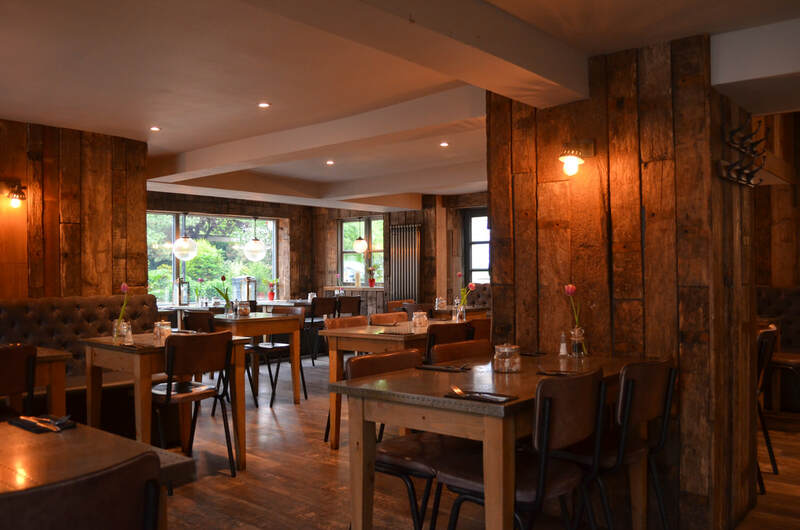 If Italian isn't your thing or you don't want to visit The Croft twice in a day then you should probably head to The Rose Tree which is located on the edge of the river and offers a traditional hearty menu. If it's warm enough then sitting outside is very pleasant, space is limited so booking is essential. The Moustrap Inn, quite frankly Bourton's only good pub, has recently enjoyed a refurb and is well worth a visit. The bar is very well stocked with nine different draught lagers, ales and ciders, many of which are local. The bar at the Chester House Hotel is also a nice place to enjoy a drink in the evening. Bourton gets very busy on a sunny day throughout the day so we would suggest getting out and about. If you have a car we recommend heading out to explore some of the beautiful local towns and villages. Don't worry if you have no transport as Lower and upper Slaughter are in walking distance and or you could hire a bike from Hartwells, situated smack in the middle of the village and a real life Open All Hours. There is literally nothing you can't buy. ( Bike Hire- £11 for 3 hours or £16 for the full day for adults and £8 and £11 for children). The aforementioned Bakery on the Water will make you a picnic lunch to take with you! If you want to brave it and explore Bourton then the über nostalgic Cotswold Motoring Museum is well worth a visit. Any child of the nineties will recognise Brum from their TV screens and car enthusiasts will be in vehicle heaven. At the opposite end of the village is Birdland which is inhabited by over 500 birds including flamingos, pelicans, penguins, cranes and ​over 50 aviaries featuring parrots, falcons and touracos. It has recently opened its new Jurassic Journey taking visitors on a fascinating expedition discovering life-size dinosaurs. If you like mazes and puzzles you will love The Dragonfly Maze with its traditional yew hedge maze and an added twist of a riddle that reveals the hidden Golden Dragonfly, designed by Kit Williams, a man famous for designing the bubble-blowing fish clock in the Regent Arcade and his book "Masquerade" from 1979 which was full of riddles, visual clues and cryptic instructions it challenged the reader to discover a "Golden Hare" buried somewhere in the English Countryside. Are there any shops I should visit? Yes, one. The wonderful Cotswolds Distillery have just opened their first ever off-site shop in Bourton on the Water and, although it's quite small, it is jam-packed with their incredible gin, whisky, the first ever Cotswolds single malt, and cream liqueur. Go in and have a taste and treat yourself to a bottle. Evenings are beautiful in the village, the floods of tourists are back on their buses and you can appreciate all of the beauty that the village has to offer. We never encourage drinking on the streets but a gin and tonic on the river banks as the sun goes down is very much accepted.